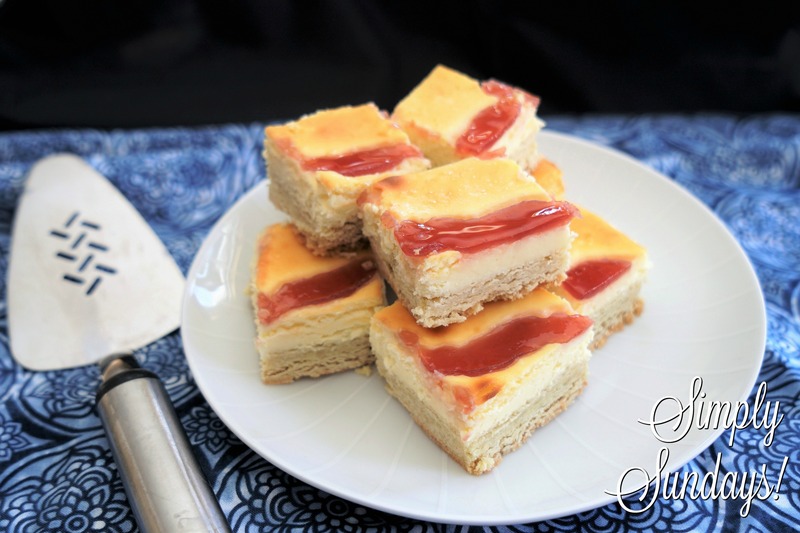 Raspberry Cheesecake Squares – Simply Sundays! Let’s combine them into tasty little squares topped with sweet, raspberry jam! Absolutely love anything cheesecake and raspberry is another favourite. Can’t wait to make this! Me too! Hope you like them! These are super pretty! I’m sure they are a winner dessert. Love the raspberries in this! I love cheesecake and I love raspberries, it’s a great combination and these look amazing! Drooling here, raspberry cheesecake is one of my favorite desserts, the cookie base definitely makes me want to try your recipe, can’t wait! Thank you Patty! Let us know if you try them! You had me at raspberry cheesecake! My favorite combo of flavors ever. I need to try this ASAP. Thanks Julie! Hope you love them!